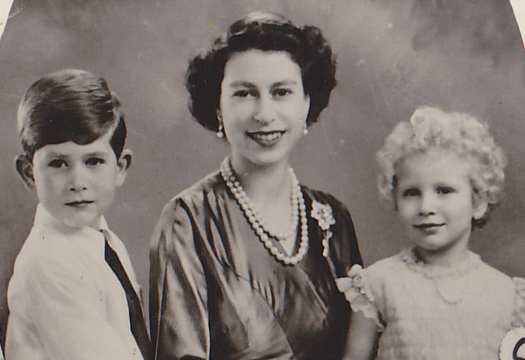 Comments: When do you think this photograph of Queen Elizabeth II, Prince Charles and Princess Anne was taken? Charles was born in 1948 and Anne was born in 1950. I would say 1956-57 might be a good guess. ... It's now 2013. 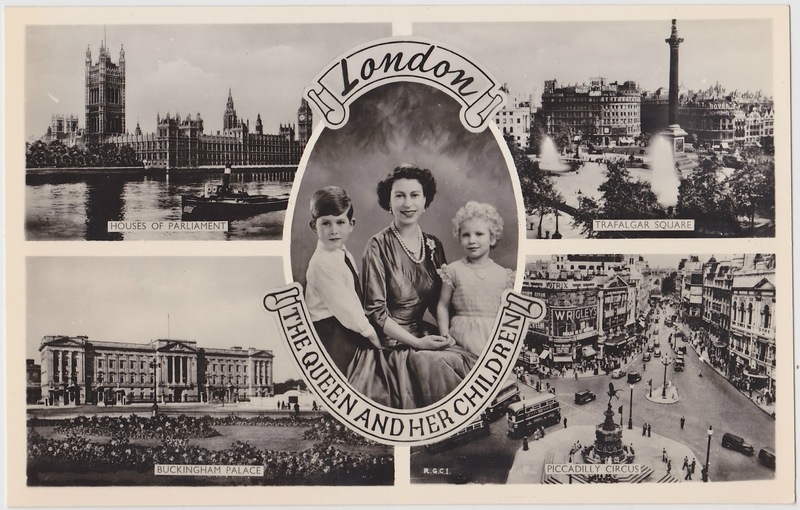 The Queen is 87 and the Prince of Wales is 64, having bided his time as heir apparent for more than six decades. 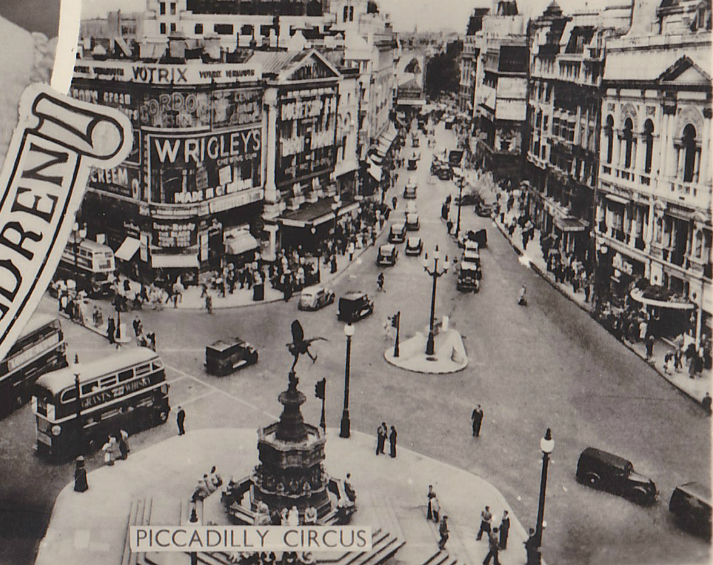 Another neat thing about this card is that you can magnify the Piccadilly Circus section and see an image of that historic area more than a half-century ago.